New students can audit one class for free. Kasha Fauscett grew up in the small town of Carson City, NV, but did not pursue her acting career until she moved to Colorado as a teenager. She knew it was her destiny to continue on this path when she booked a commercial for a local radio station (KOSI 101) without training or representation. Kasha booked the lead role in the short film "White Room," where she won Honorable Mention for Best Dramatic Performance at the Denver Underground Film Festival in 2009, and Best Actress for “My Amish World” at the Mindfield Film Festival in 2018. Kasha and her husband Troy Fauscett formed "Galloping Metal Productions LLC" to co-create a high concept TV series Inner Dimension along with many other compelling stories. Kasha has a knack for mentoring actors and started working for “The Academy of the Arts” where she taught kid/teen/adult acting classes. She continued her passion by teaching through her production company GMP. Along with teaching, she works at Comcast NBC as a manager. Out of 800 people, Kasha was selected to be flown to New York City NBC Studios to for "Know Your Value" to be mentored by industry professionals like Mika Brzezinski (co-host of MSNBC) and Joe Scarborough (co-host of MSNBC) of the Morning Joe Show. Kasha is the Co-Producer and actress for the feature film "My Amish World" which is based on a true story. This feature film has won several "Best Feature" awards all over the world. Learn more about your instructor, Kasha Fauscett, at actresskasha.com or www.imdb.com/name/nm3069730. "My son, Ethan, age 12 has thrived under the tutelage of Kasha. She has elevated his skills through lessons on acting and giving insight into what casting directors are looking for. Ethan has become a better actor and more confident because Kasha took the time to get to know Ethan’s strengths and personality and built upon his natural traits. As a direct result of Kasha’s unwavering support of my son, Ethan was recently signed with Marbles Lincoln Talent. In sum, if your child is looking for an acting coach, Kasha has all tools necessary to expand his or her talent, advocate on his or her behalf, and help network. She has the soul of a true actor and coach." "My son Gunnar has been traveling back and forth from Denver to LA for the past five years to work in the talent industry and has been very successful in the game. Thanks to the numerous individuals we have met along the way. Kasha Fauscett is an inspiring coach! She understands the business inside out! Especially the audition process, which is key to staying in the game. She was able to assist my son in a last minute taped audition for an upcoming pilot. Kasha reassured his confidence and choice selection. We were very pleased about the finished product and excited to have someone to count on for future assistance. She is truly talented and has a remarkable way of connecting with life's most precious assets... our children." "I highly recommend GMP acting classes. My daughter has been taking acting lessons for the past few months from GMP, and she looks forward to them every week. Kasha is very knowledgeable about teaching acting, and she also has a lot of first hand experience. The classes are very hands-on, and students work on many different acting techniques and experiences. Kasha also offers many other resources, such as photographers, casting references and advice for navigating the world of acting." "Kasha offers a safe and fun place to explore acting. She shares her experiences in acting to help her students and their families navigate the industry, including head shots. My daughter has enjoyed the acting classes greatly and has really blossomed." "I liked it, at first. The tempo & environment gradually eased me into the mindset of what being a solid performer actually looked like. I then found myself, with the help of Mrs. Kasha Fauscett, almost obsessing about my ability to create smiles, laughter, haunted realities, & most importantly how to be a good person on & off the stage, within and without the audience present. The class is the disarray of beauty, simply. Also remember, whatever you bring to this class, you will leave from it with more than you could ever have imagined. Lastly, I no longer like, working with GMP Acting Studio, I love it. In fact, I now know that my career as a working actor, would not live without it." Kasha Fauscett is an amazing acting coach at GMP acting classes. I have been with her only 2 months and I have already learned so much and have become way more confident in my acting ability. She is very encouraging, helpful, and professional. She takes the time to get to know her students and empower them through their strengths and weaknesses. She gives her students great info to know about the industry. With out her I wouldn’t be where I am now. I highly recommend the class! "It took one glance at his father’s photo to know that he wanted to follow those same steps. I selected the best in the area; GMP Acting. He is my son, he deserves the best. His 1st day of class was a roller coaster of emotions that turn quickly into excitement. I am fortunate to have my son learn from an award winning professional." "Kasha is an amazing teacher. She shares her experience to help further her students in the best possible way for them. 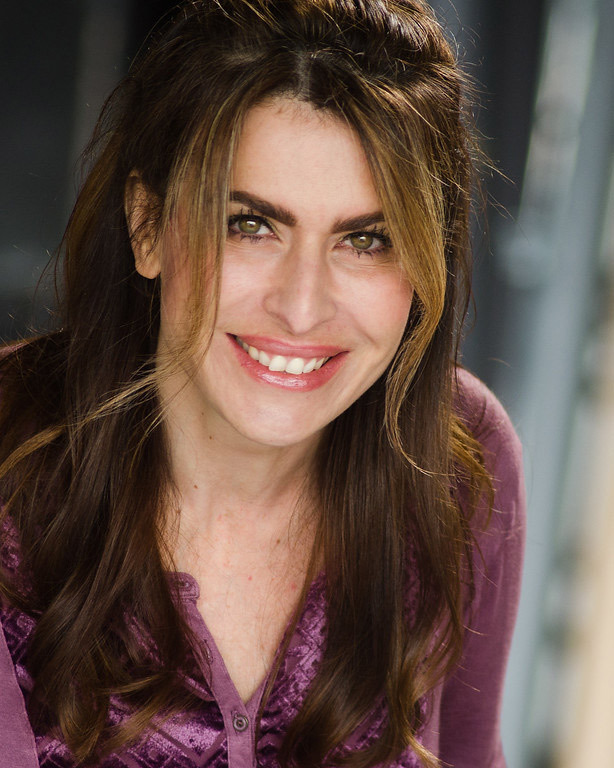 Kasha has really helped me in all aspects of acting and getting to know the industry, and keeps it challenging to help me grow as an actress.I would highly recommend Kasha to anyone who is looking for a great acting coach!" "Simply put, GMP is amazing! The professionalism and energy Kasha brings to each class is truly a gift to actors at every level. Specifically her interaction,encouragement, and guidance provide valuable tools to all that enter her space." "Kasha is amazing!! She's the rare teacher that cares so much....my girl loves coming to her class...and she guides us on what to do and what to sign up for and how to do things! We would have never known to do without her. Thank you for caring!!!!!" "My daughter loves acting class with Kasha! Kasha is so patient with her students and caring! We are so happy we found a great acting coach!" You’ve been cast to star in a production. After the production is completed you would really like to get a copy of your work, but sometimes it’s not that easy for the production company to release your footage. If/when, you finally receive enough footage for a reel, you find that each production company uses their preferred artistic decision with color correction (warm or cold colors), sound, and the overall look and feel. It’s not as simple to weave together a fluid reel from different productions. It is an important fact that actors need a strong acting reel to showcase their talent. Acting reels allow the actor a benefit to submit samples of their work to a casting director along with their headshot. Most talent agencies prefer an acting reel because it makes their job easier when trying to market their talent for castings. The creation of the “Reel Deal” is to help actors who have not been in many productions or have trouble getting copies of their work.